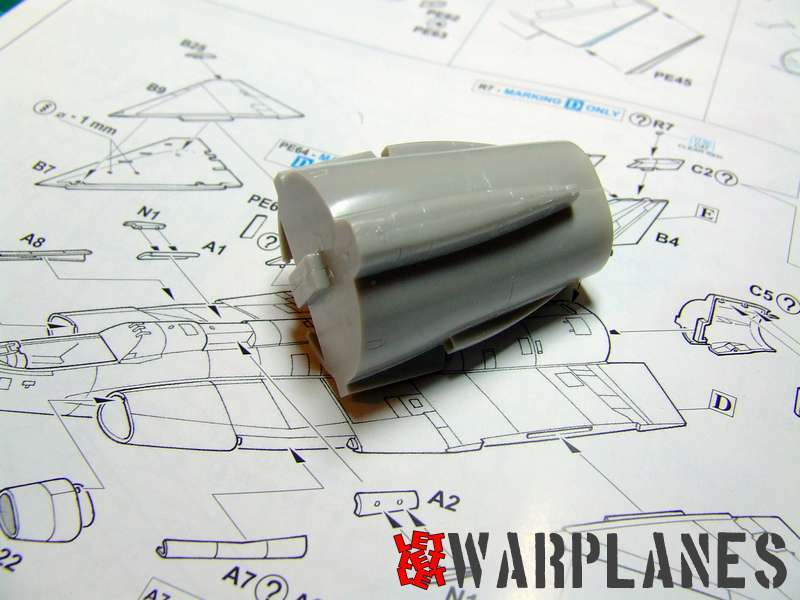 In 2008 Hasegawa released a plastic kit of the SAAB Draken in 1/48 scale. 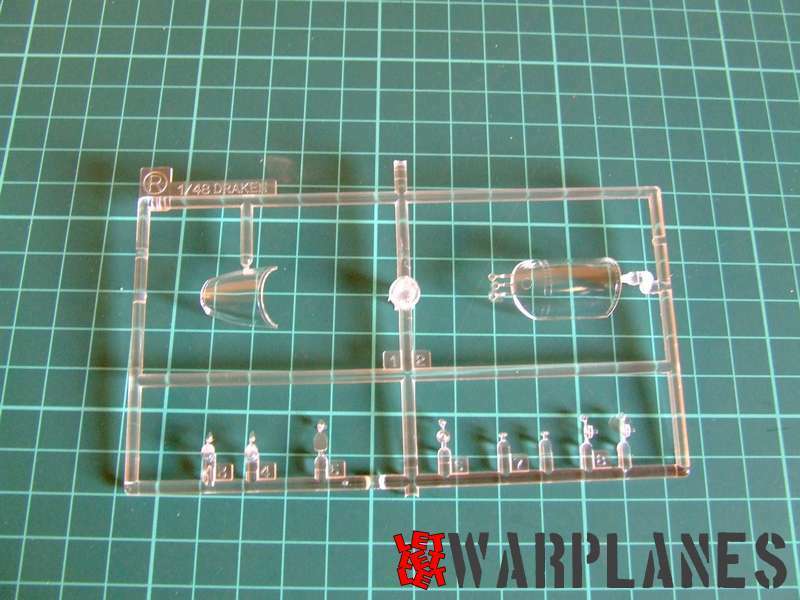 This kit had all features of this manufacturer, not so many parts, high level of details, easy to build. 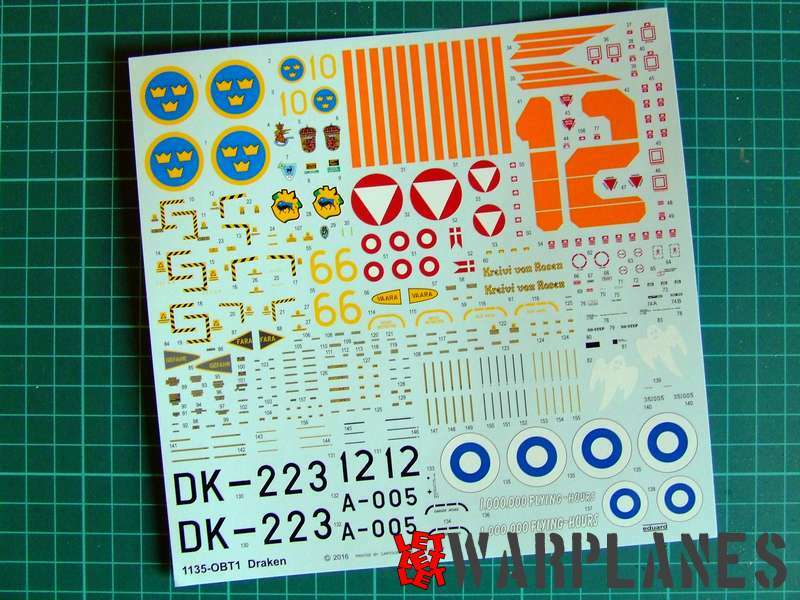 Fortunately, months ago, Eduard did a repack of this kit with a full range of their additions. 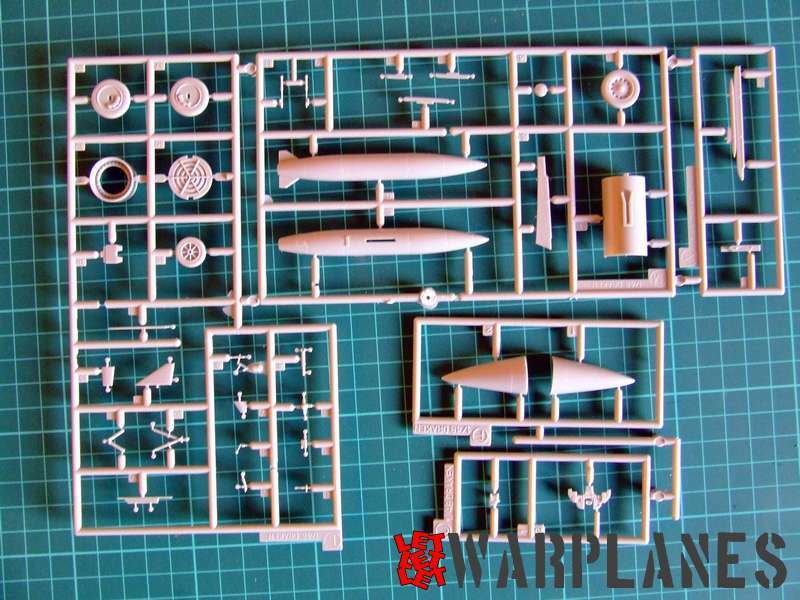 The Limited Edition is a real jewel in Eduard production since there are kits from other manufacturers with the highest possible level of extra detailing. Eduard did their best to choose interesting and most accurate subjects so the final result is always excellent. 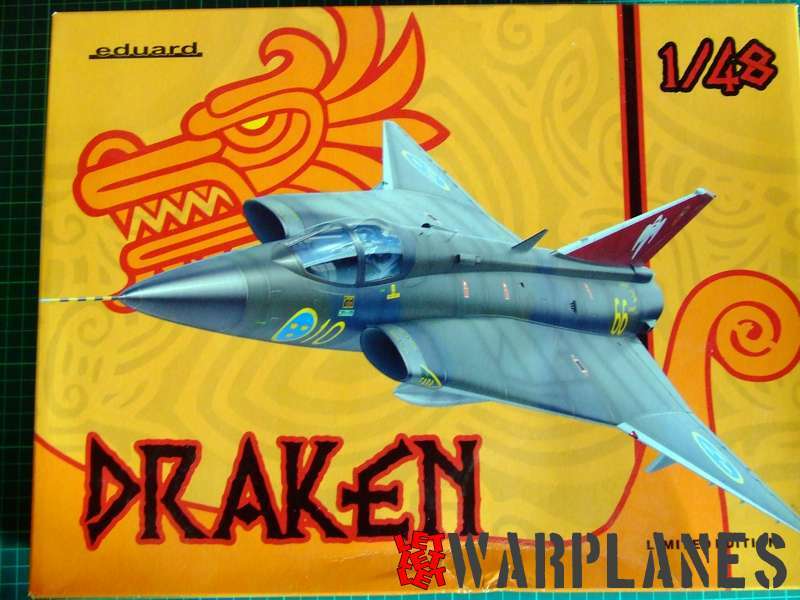 The Draken kit is released as Limited Edition, stock code is 1135. 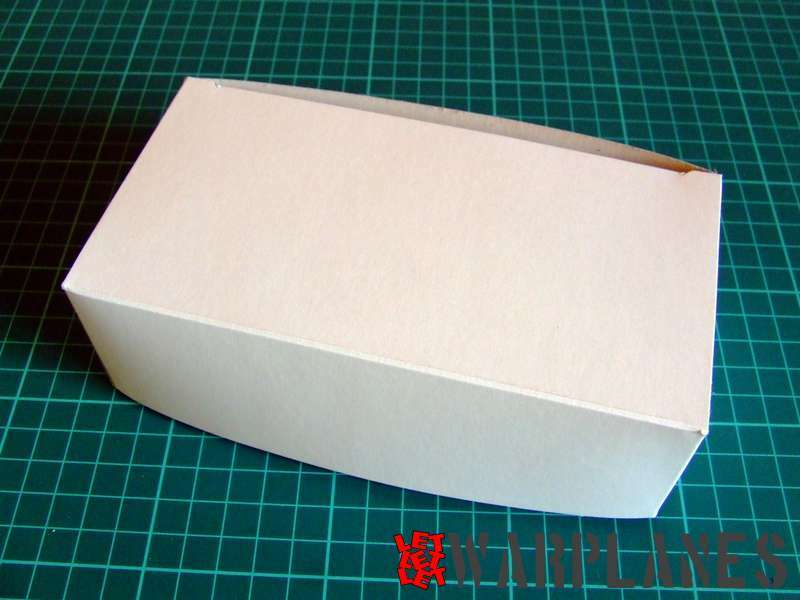 Scale is as you note 1/48, the box is a beautiful piece of nice art design and content is also great. 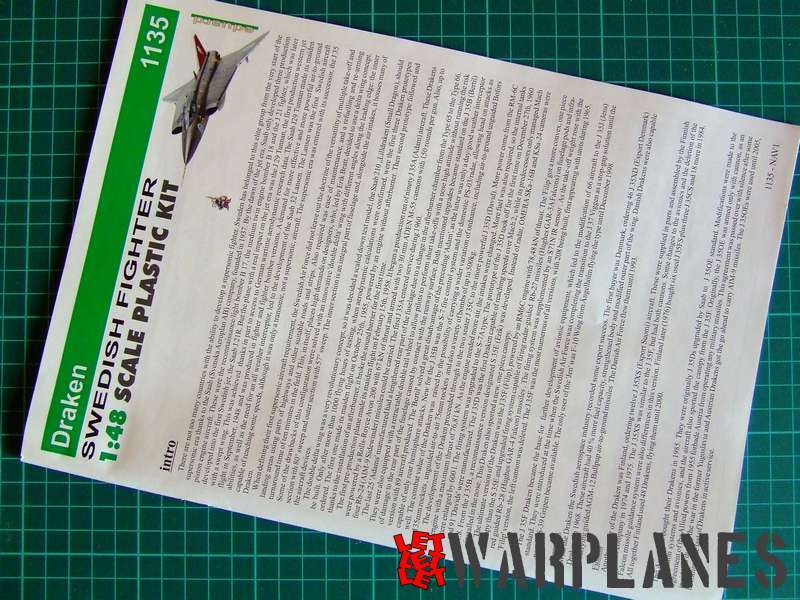 Inside are 11 frets with basic plastic parts but not all elements will to be used in this kit pack. 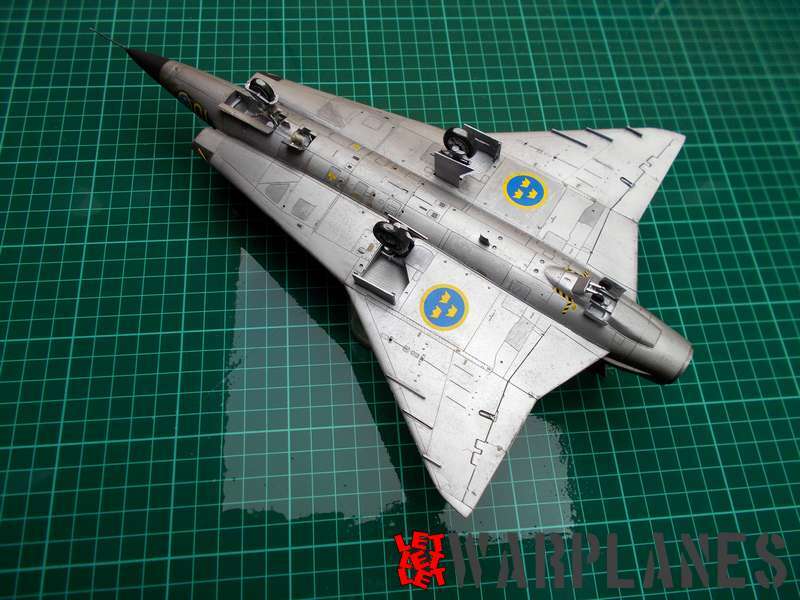 Eduard did make their best with two sheets of etched parts, one with painted elements, which give you extra upgrade on cockpit and external details. 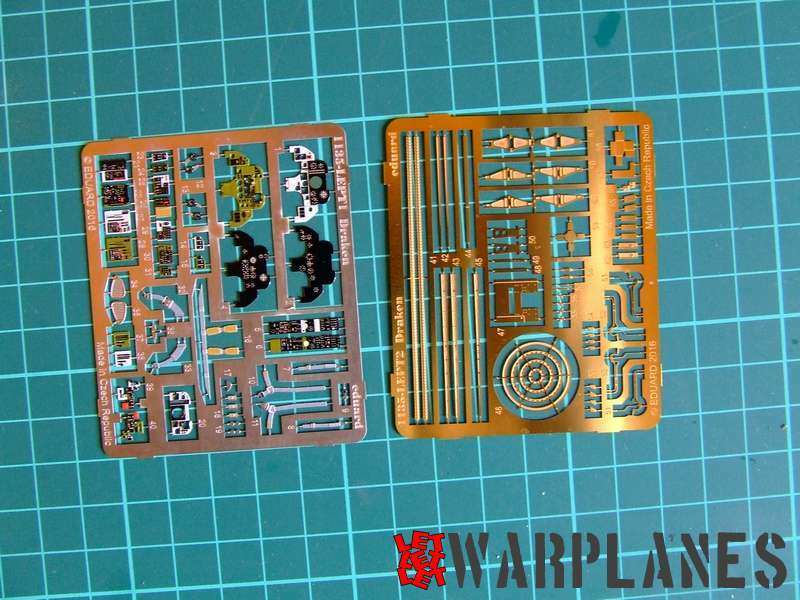 What they also provide is a set of Brassin parts, they give all wheels (two types, take care which sample kit you are going to finish), pilot seat, instrument panel cover and hook (used for short landing). 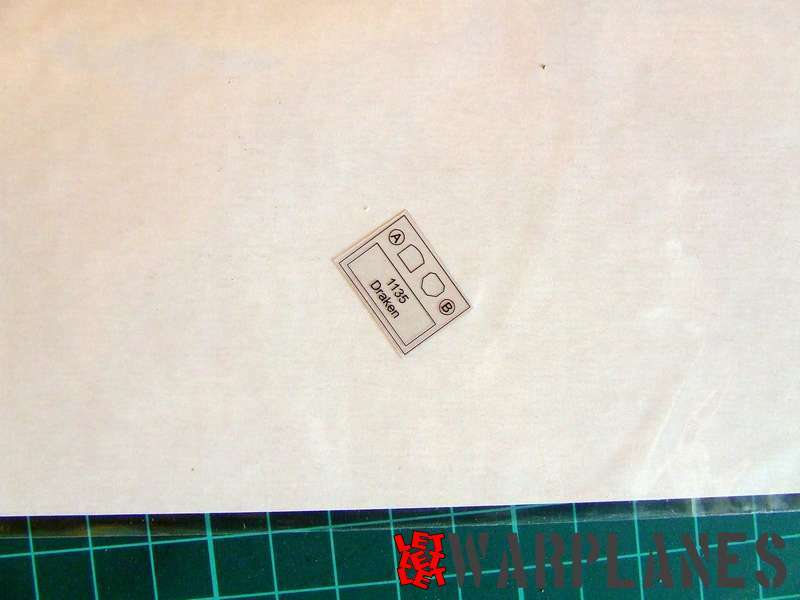 The small transparent film includes the HID display transparent plates and the sheet of protective mask includes all shapes need to protect cockpit canopy as well wheels. 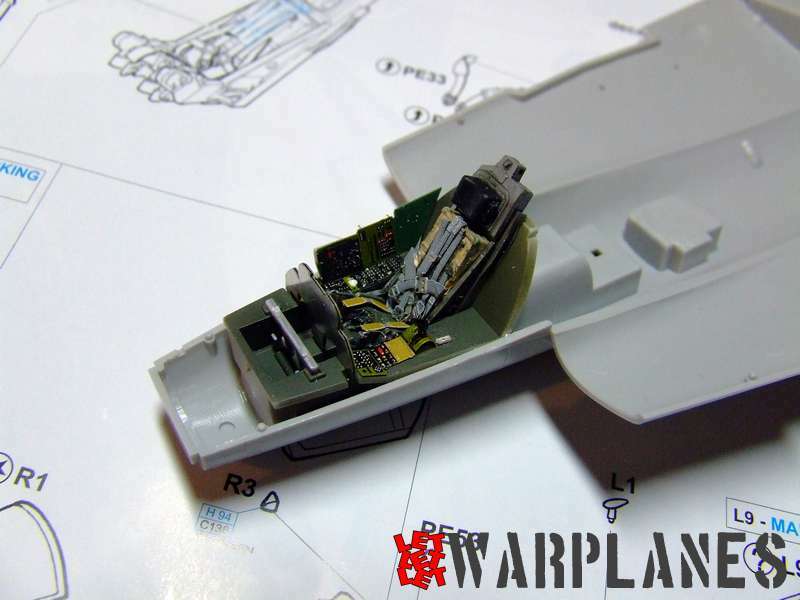 The cockpit is the first place where this build started and I first placed some etched parts on cockpit and after that, I sprayed paint. This has a green interior. 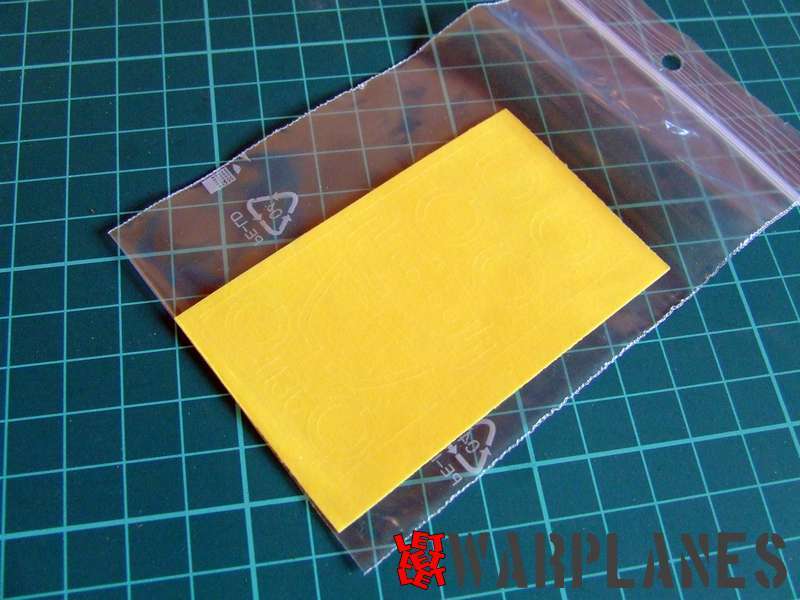 Eduard provides a good color guide and just in case, I have also referred to the photos of original machines. 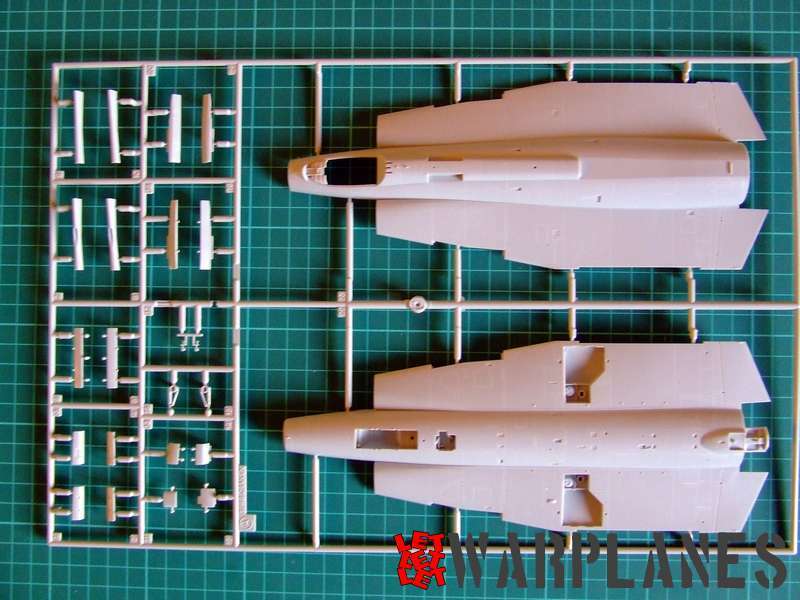 All parts of the cockpit go on the bottom fuselage half, it is later covered with top fuselage parts and wings come on side. 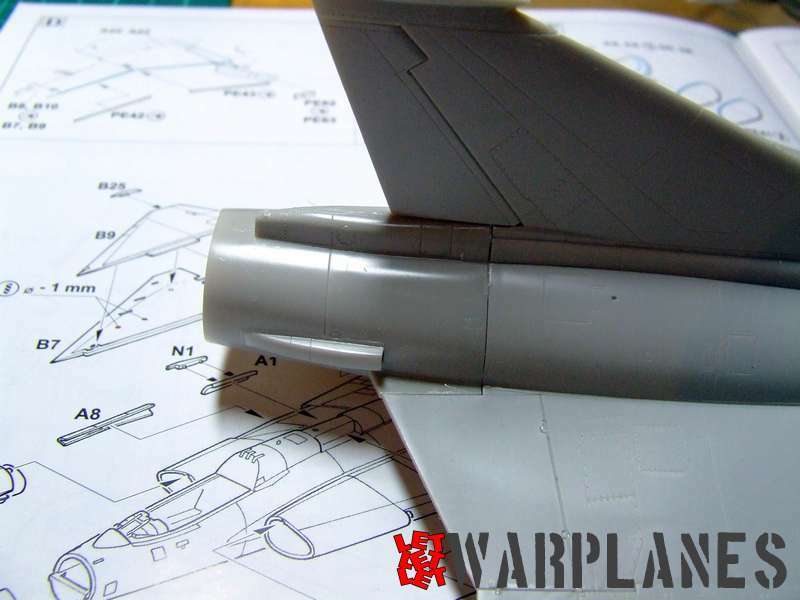 On thefuselage are attached the rear parts, which are exhaust, air intakes, vertical tail and wings. 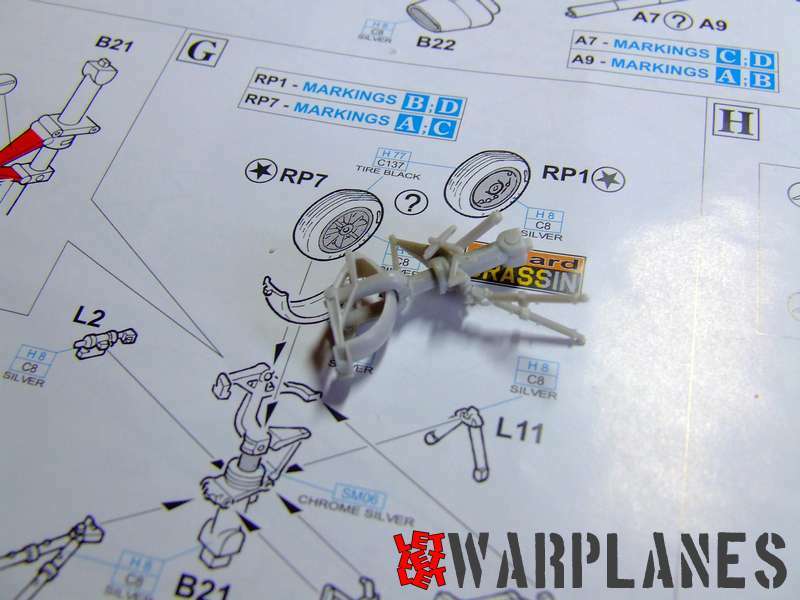 At first impression, the landing gear look tricky but they are actually easy to assemble since they are so precisely molded. 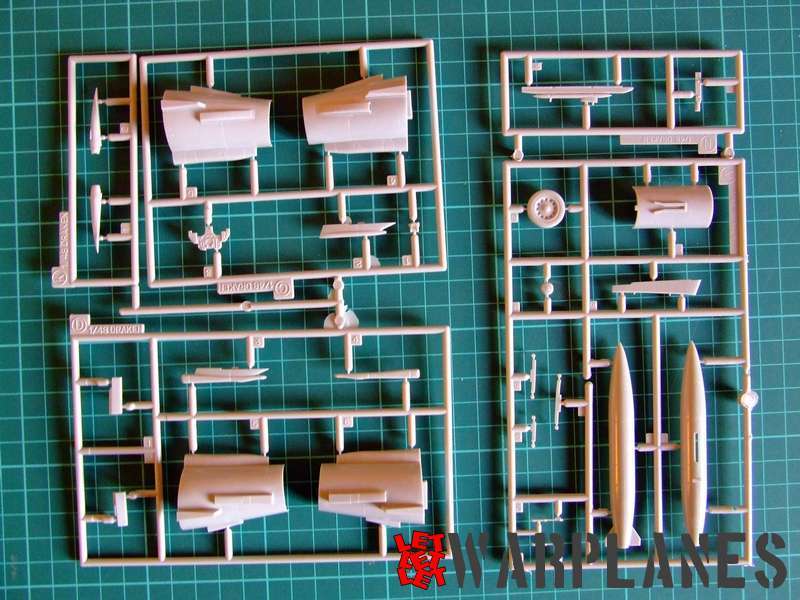 This kit can be brought in just a few days into the stage ‘ready for painting’ and this is thanks to very good parts design. 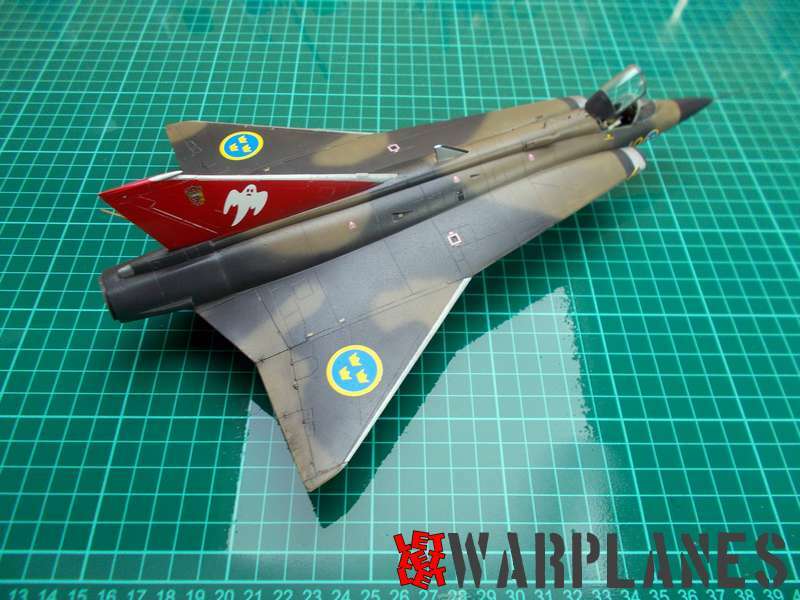 I decided to built a Swedish sample, from F-10, 1989, with anniversary tail decoration. It has interesting painting with bottom left in natural metal, nice chance to play with Alclad paints and the top camouflaged in green and deep blue color. 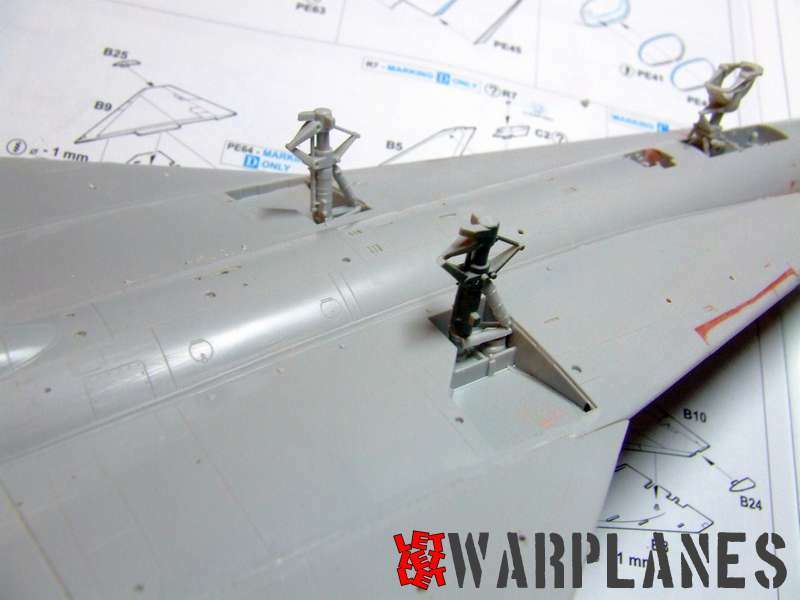 Many details are in different color, like radome nose in black, intakes have black intake edge, natural metal edges of wings and vertical tail. 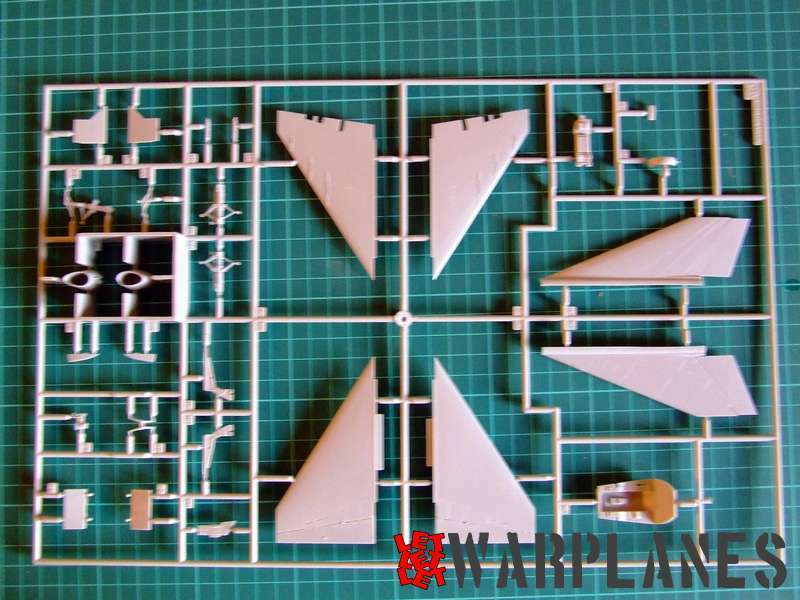 Final result is one nice and attractive kit, easy to build and nice looking. 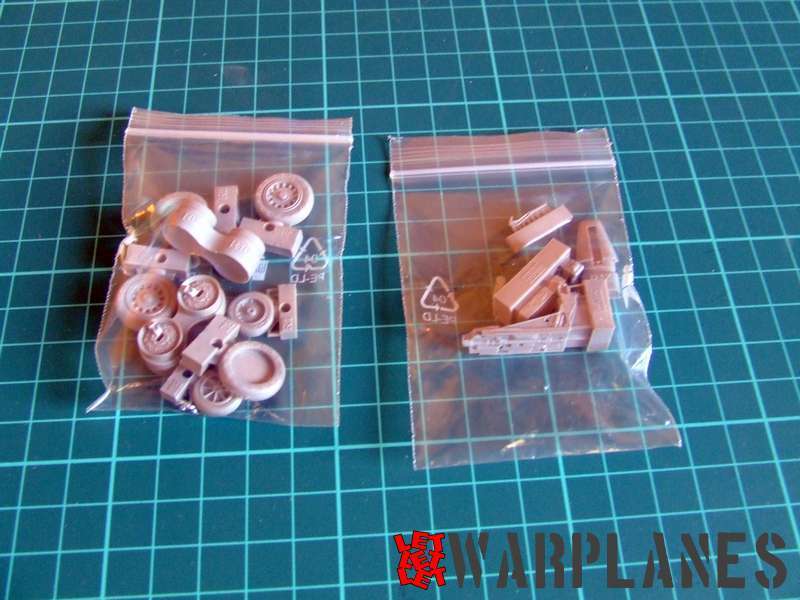 Since it is limited to a small number of samples, get yours before it is too late, and my big thanks goes to Eduard for sample kit.